Lightfoot Electrical is proud to have been providing Aledo Tx with quality work for both commercial and residential electrical customers for over 20 years. From simple repairs to complex business electrical installations, our team has the experience needed to carry out the work. Each one of our electricians for Aledo has been thoroughly screened prior to joining our team at Lightfoot Electrical for your peace of mind. We put the needs of our customers first and ensure that the Aledo electricians you have working in your house or business, has the skills, knowledge and attitude to complete the work professionally and to a high standard. Our electricians are experts in their fields and their efficient and professional approach mean they can carry out the work with minimal disruption to you or your business. From complete residential home wiring to electrical inspections for your business, we can do it all. If you would like to find out more about the services we have to offer, simply get in touch, and our knowledgeable team will be able to set up an appointment to ensure your needs are met. We offer regularly scheduled inspections and maintenance plans to ensure your electrical systems remain working smoothly and efficiently throughout the year. No matter how good the original design and installation of your electrical systems, they will still require regular maintenance. This is because the quality will deteriorate over time. When it comes to lighting, that can mean the output of a lamp will gradually decrease, which can have an impact on how your business or home operates. A fully licensed electrician will perform a full maintenance to ensure everything is in good working order. If you require any repairs or upgrades, they will be on hand to help complete the job to the highest standards. Whether you are a business owner seeking routine maintenance or repairs, or a homeowner in need of a residential electrician, you can rest assured that Lightfoot Electrical can provide you with the right solution for your needs. With over 20 years in the business and servicing local areas including Forth Worth, Granbury, and Burleson, as well as Aledo, you can find highly qualified local electricians for any project big or small. 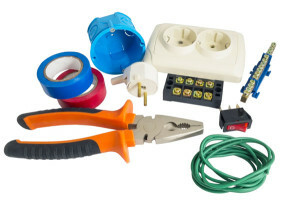 Call Lightfoot Electrical, our highly experienced electricians Aledo Tx team is on hand to serve you!